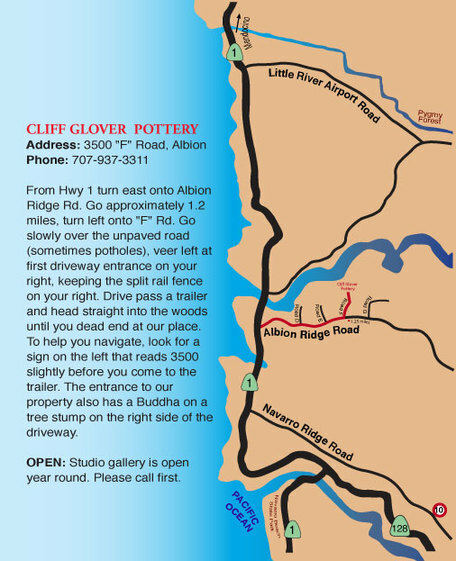 ​Our home studio/gallery is a short 15 minute drive south of Mendocino. 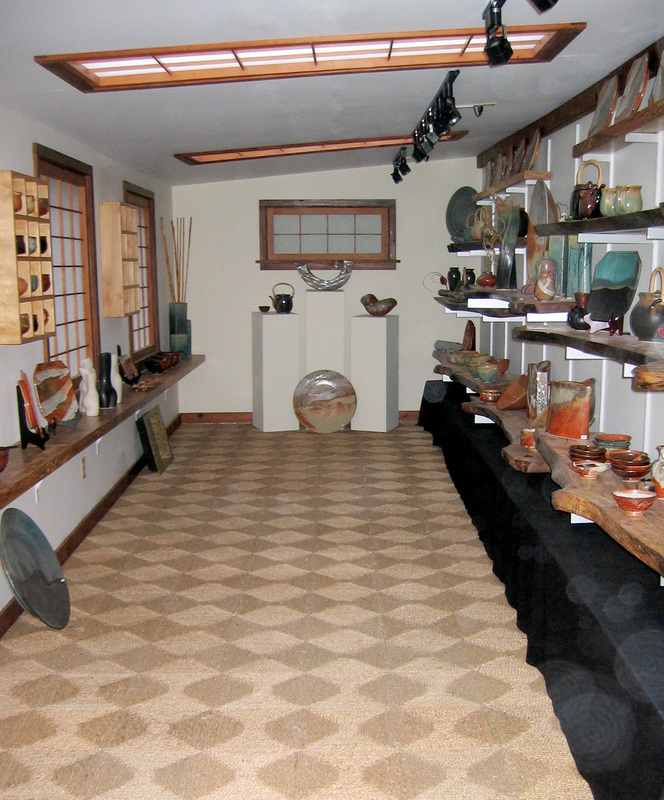 We are open to visitors on weekends and have an abundant selection of pottery to choose from, including seconds! All we ask is a simple email or phone call to verify that we haven't stepped out for some groceries, or for a stroll along the beautiful Mendocino headlands.